The term laya means dissolution, melting of all karmic conditioning and limitations that have accrued as result of various occurrences and incidents which took place in the course of one’s entire lifetime. The barriers of a preconditioned life become gradually dissolved, until the soul sees the enlightening world of freedom and salvation (Kaivalya). Layah means to absorb or to dissolve. The word Yoga means unity or reconciliation. One can say that the whole phrase may be interpreted as: the yoga of absorbing dissolution in God’s Spirit. Laya Yoga is such a form of yoga in which Unity: the Highest Unification, also known as samadhi, is attained in the process of laya, additionally referred to as fana by Sufis, or nirvana by Buddhists. One can say that laya means a deep concentration (attentiveness, focusing), which brings about a gradual dissolution and absorption of the structures of material ego in an utterly pure power of the Highest Consciousness. Laya is a process of gradual absorption of basic energies that generate our material form so that Consciousness (Chittam) becomes released (liberated, redeemed) from all phenomena that are not spiritual, or where the divine enlightening power of Pure Spirit is concealed inside. One can say that consciousness that is absorbed in concentration on God and submerged in God, becomes progressively so preoccupied with it that everything that does not represent spirituality discards it and becomes annihilated. What remains is the imperishable existence of the Eternal Spirit, the real substance and essence (Sain) of a human being. Dikshan: initiation into Laya Yoga means that a bond has been established between a human spirit clad in a body and the Eternal, the Highest and the Holiest Spirit of God, Brahman, that remains bodiless. The energy of initiation is a transmission of power from The Holy Spirit and reconciliation with God in the Holy Spirit. It facilitates concentration on the Spirit and Truth, as well as genuinely pious and inspired prayer. One can say that initiation is always a baptism in the Holy Spirit undergone for the practice of spiritual dissolution in God. The Eternal Spiritual School, also called "Brotherhood of Mystery" or "The Path of Absorption" has been founded on the teachings and practices of Laya Yoga, transmitted in ancient times by Lord Shiva to his disciples and devotees named chela. Chohan (Lord) Shiva founded a total of twelve lines of yoga transmission, which constitute complete and comprehensive teaching and training systems in all stages of man’s route of spiritual development. Laya Yoga is a transmission line watched over by great Mahatmas from Ashram located in the Himavanti Valley. The Laya system is one of four foremost, so called Grand Spiritual Paths, the other being Mantra, Hatha and Raja Yoga paths. So, it is one of the main four forms of yoga paths that exist and may be practised in this Dark Age described as Kali Yuga. It is worth mentioning the fact that Lord Shiva referred to these four yoga systems as MAHA YOGA, if one practised some of their selected basic elements simultaneously. Basically, what we are offering as a public introduction into yoga is in its quintessence Maha Yoga (Grand Yoga) and may be developed in a more detailed way into one of the Great Spiritual Paths. Certainly, the Brotherhood sets the Eternal Path of Absorption (Laya Yoga) as the priority. The succession line, i.e. the spiritual tradition from which Laya Yoga originated, is also called Himalaya, or, in more accurate terms, The Himalaya Tirtha Sangha. 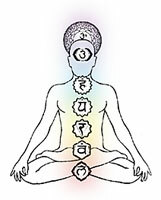 The seven-stage path (marga) of spiritual growth that causes one to dissolve in an infinite grace of the ocean of compassion of the highest God is a basis for the entire spirituality represented by successions of GURUS (Spiritual Leaders), who in turn pass on one of the most ancient and esoteric forms of Yoga teaching. Traditionally, in the lead of the entire transmission line as well as its forms appear: Guru Shiva (The Merciful One), more familiar in his numerous emanations as the Venerable Father, Babaji, and his spouse, known as Devi Parvati (Daughter of the Mountain, i.e. the venerable Mahatma Himavant). Acharyas: those ordained in the process of spiritual transmission to play the part of messengers or apostles of the succession line belonging the Vedic laya yoga, constitute the groundwork of yoga teachings. All Hindu and Tibetan forms of yoga draw inspiration from this source of the exquisite heavenly nectar. At its core, YOGA as a spiritual path is much older than the Hindu tradition, as the latter was started only in the seventh century A.D.! Laya Yoga may be called the yoga of absorption (dissolution) in the consciousness of the Great Spirit, Light and Love. Guru Shiva, the head of the entire yoga transmission line, is also called the Father, Baba, and even more frequently, Father - Master, i.e. Wale Baba. Guru Shiva lived and walked on this earth just like You, roughly 10 to 12 years B.C. This illustrates how ancient yoga, which he discovered and founded together with his spouse Devi Parvati, really is. He conveys direct teachings to only few ones, who are most often Arhats, while He Himself remains rather a spiritual patron of all male and female yoga disciples. An abstract term Shiva (God’s Grace), which refers to the spiritually highest being in the Universe, is clearly differentiated here from the name of a Yogi called Guru Shiva, who presently lives on the Earth. The Absolute is more often described as Paramshiva! Bodhidharma, who imported the Vedic teachings to China via Tibet, brought the precise teachings and practices of ancient yogas, including a Shivaic martial art called kalaripayat, later recognised as Shaolin. Also Gautama Buddha practised yoga, he attained enlightenment thanks to yoga and he recommended yoga as a common path to soul liberation, to the redemption of all human beings. Ironically, schools of alleged Tibetan Buddhism still claim that they are schools representing Tibetan yoga practices, although the term Buddhism is not familiar there. Yet, Buddha is worshipped as a Yogi, who attained the ideal sanctity of the enlightening awakening. In fact, yoga that is practised in all Buddhist schools is primarily based on Mantrayana methods, as well as the Rajayoga system.